I had plenty of Tony Gwynn baseball cards growing up. As an eight time batting champ Tony was a superstar and there’s always more cards of star players with all-star subsets and such. But, there was never a chance to pick up a card of the 2007 Copperstown inductee in any “traded” update sets seeing as “Mr. Padre” spent his whole 20 season career in San Diego. That is certainly something of an anomaly in the age of free agency. 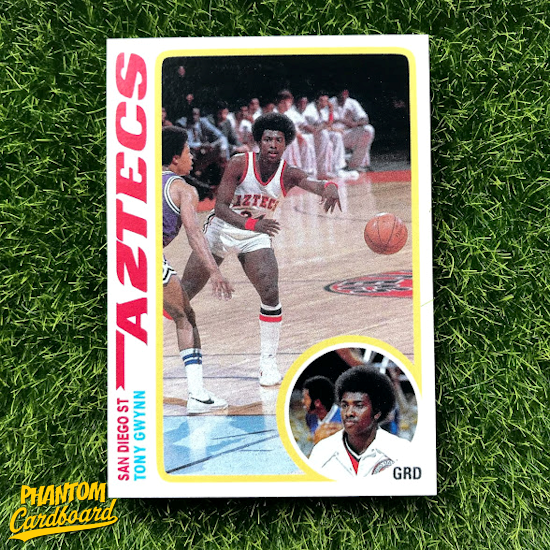 I knew that Tony Gwynn was one of baseball’s most prolific hitters -one of only 31 players ever to amass 3,000 hits- but, what I didn’t know as a kid is that he was also a problem on the basketball court. Gwynn, who played point guard for San Deigo State, was twice named to the All-WAC team and is still the schools all-time leader in assists. Tony’s main focus when starting his collegiate career was actually basketball. I really don’t ever remember anyone talking about how good of a basketball player he was while in college I guess because he was just that awesome at baseball. 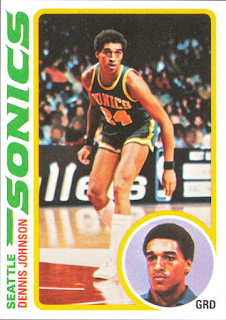 But, he was actually drafted by the then San Diego Clippers with the 210th pick of the 1981 NBA draft. On the very same day he was also chosen by the San Diego Padres with the 58th overall pick of the MLB draft and the rest, as they say, is history. Unfortunately Gwynn only lived to be 54 succumbing to cancer in 2014. Along with being one of baseball’s best he was universally lauded as a good guy and true gentleman. Tony played four year of college basketball from the 1977-78 season through the 1980-81 season. I chose to go with a 1978-79 Topps basketball inspired design for his card. I’m a sucker for the Topps action pic + small headshot designs. I was lucky enough to find a pretty similar font. Fonts for the older basketball sets are difficult to match. They’re usually what I would best describe as “groovy” type fonts that look hand drawn, so I was pretty happy to come close, then color matched “San Diego St Aztecs” to the reddish color in the school’s logo.